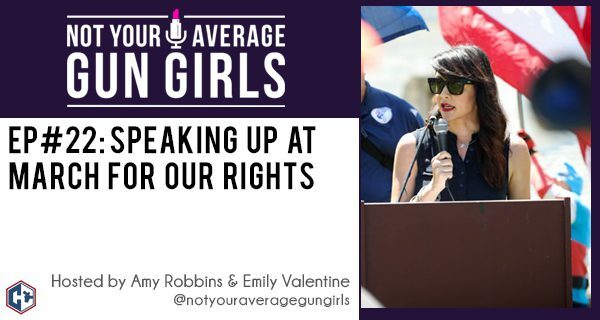 In this week’s episode, Amy and Emily catch you up with what’s they have been up to since the NRA Annual Meetings. Listen in to hear about how both of they spoke at the March For Our Rights rally in Los Angeles and Washington, DC. Learn more about the rally, why it’s important to preserve our second amendment rights, and the youth that organized the event. Emily provides an update on filming for Love At First Shot Season Five and Amy shares the latest news on Alexo Athletica.